We will be celebrating Passover and the institution of the Lord’s Supper this year with a formal Seder service. We will look at the meaning and symbolism in Passover, the central holiday of the Jewish year, and seeing how Jesus transformed those symbols into a celebration and re-experiencing of his own sacrificial death. There is no sign-up sheet to attend, if you are able please join us for this special time. 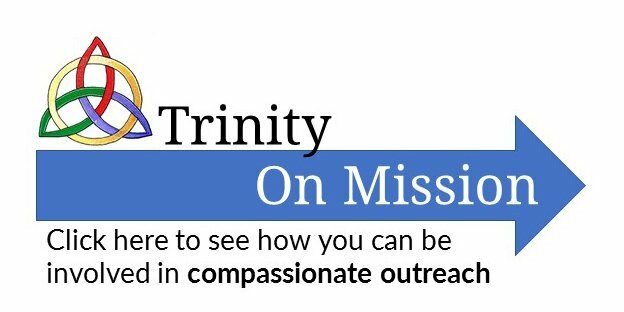 If you signed up to help with this event an email was sent out on Trinity News to remind you of what you signed up for. The service will be at Countryside Park, also known as Lynn Gripon Park 100 Alderwood, League City. This year we will welcome Eli the father of Nathan, who was one of the criminals crucified with Christ. He’ll give eye-witness account of the crucifixion and resurrection of Jesus. Bring lawn chairs, blanket (in case it is chilly), mosquito spray (just in case). There will not be a Sunday school class as we celebrate the Resurrection together with a continental potluck breakfast. Please bring a dish to share such as a pastry, fruit, kolache, quiche, or muffin. We will celebrate the resurrection of our Lord at the regular time. Mark you calendars and make plans to bring a dish to share and join us for this wonderful time of fellowship together. We will gather for a fun day at the Frankie Carter Randolph Park in Friendswood off of FM2351 on May 4th from 11:00 am to 2:00 pm. Bring a lunch for your family and whatever toys and games you would like to play. There is a volleyball court, tennis court, area for Frisbee, playground. Bring lawn chairs and we will gather in a group near the tennis courts. Easter is April 21st, 2019. As always, I want to encourage you to make much of this celebration of Christ’s life, his sacrificial death and his glorious resurrection. This is the heart of our faith! We will have great worship on Palm Sunday, a Seder service on Friday, a Sunrise Service at Countryside Park, and then a buffet breakfast and Easter worship at the church. I. Huper Humon . . .
II. He Lays Down His Life For . . .
III. One Man to Die For . . .
IV. Hosanna . . .
We will be celebrating Passover and the institution of the Lord’s Supper this year with a formal Seder service. We will look at the meaning and symbolism in Passover, the central holiday of the Jewish year, and seeing how Jesus transformed those symbols into a celebration and re-experiencing of his own sacrificial death. We need a lot of help to pull this off, as each table needs both individual settings and platters for the ceremonial foods (we will not be having a meal, but will share all the symbolic foods and drinks. Please call Iva at the church office (281-482-0577) or email her (ivaf@trinityfellowship.net) to volunteer, or use the sign up sheet that will be available on Sunday mornings. We will try to remove things from this sheet as people volunteer. We’re excited this year to welcome Nathan, the father of Eli, who was one of the criminals crucified with Christ. He’ll give his eye-witness account of the crucifixion and resurrection of Jesus. Bring something breakfast-y to share and enjoy a time of fellowship. This event will be held at the church. I am working on a new church directory. If you haven’t turned in the form with your information on it, please get it to me as soon as possible. You can find the form in the foyer or contact me and I will email it to you. Please email me a picture for the directory at ivaf@trinityfellowship.net. Reach needs volunteers to help with the rebuilding. You are welcome to help any day or days that your schedule will allow, just let Kat know a day or two in advance so that they can make plans accordingly. They could specifically use volunteers on the week of April 14th as they have a very small team that week. Deadline to register is April 8th!!! You can register now using the form at the bottom of this page. The Empowered to Connect Conference features practical teaching in a safe and supportive community as we work to equip families, churches, and professionals to better serve children impacted by adoption and foster care. It features Trust-Based Relational Intervention (TBRI) methods developed by Dr. Karyn Purvis and Dr. David Cross to help bring attachment and connection in families. The content is ideal for adoptive and foster parents, those considering adoption or foster care, and those who are serving and supporting others, including social workers, agency professionals, church staff and ministry leaders, counselors, and therapists. As we continue our study in Luke in 2019 we are also providing devotional study materials for each week. The March / April booklet is now available. You can pick up a printed copy at the church. Also available is a small book that contains the English Standard Version text for the Gospel of Luke – and nothing else. We’re excited to make these available. If you would like to make a donation of $5.00 or so to offset the printing costs (and purchase cost of the Luke book) that would be great. You can register using the form at the bottom of this page.